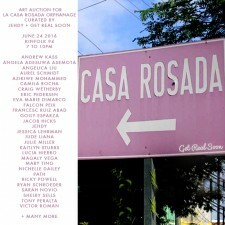 Brooklyn, NY, June 22, 2016	(Newswire.com) - ​​​​​Creative partners @GetRealSoon & artist @Jehdy are revving a fundraising initiative for a group of orphaned children in East Santo Domingo, Dominican Republic supervised by the Sisters of Charity of Saint Vincent de Paul. The vast majority of the children are HIV positive or more regrettably are diagnosed with AIDS. We have invited all our creative friends to donate a piece of artwork to help continue the fine work the nuns are carrying out at an orphanage that relies exclusively on donations for maintenance and support. 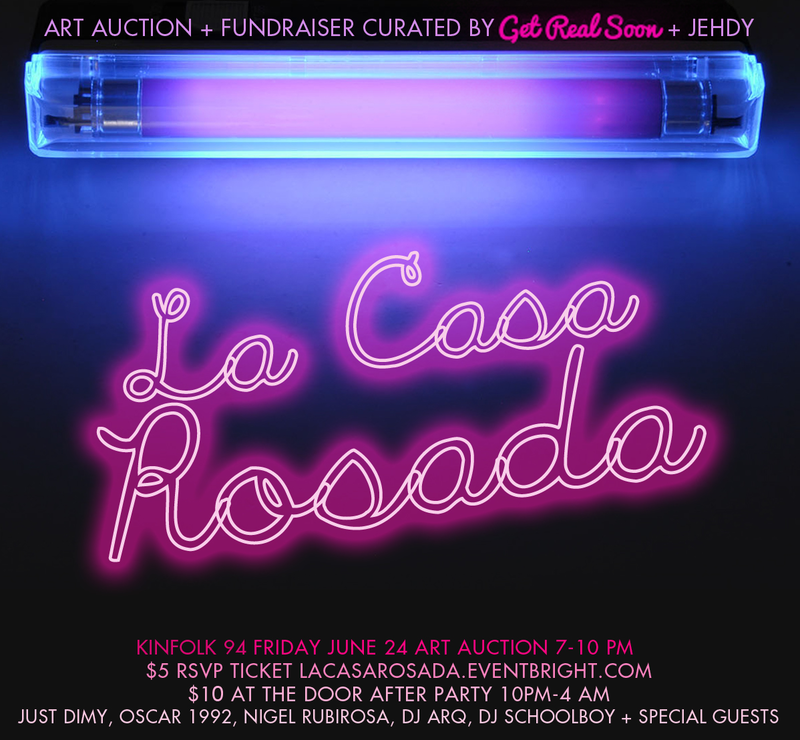 50% of the art that sells will go directly to La Casa Rosada Orphanage and 50% to the artist. Artists are also welcome to give 100% to the cause if they desire. Why Hood? The event is meant to be fun & light with a conceptually hood auctioneer comedian presenting the art pieces. Bottle service of pink bubbly will be available for sell where our "bottle mamis" will be on site to serve them to you (with sparklers of course). Unpretentious in motive; this night we're looking to celebrate & dance night to reggae & house whilst mimicking a bashment party. Again, it will be a humorous event & pseudo-satirical, but driven ultimately for a great cause! 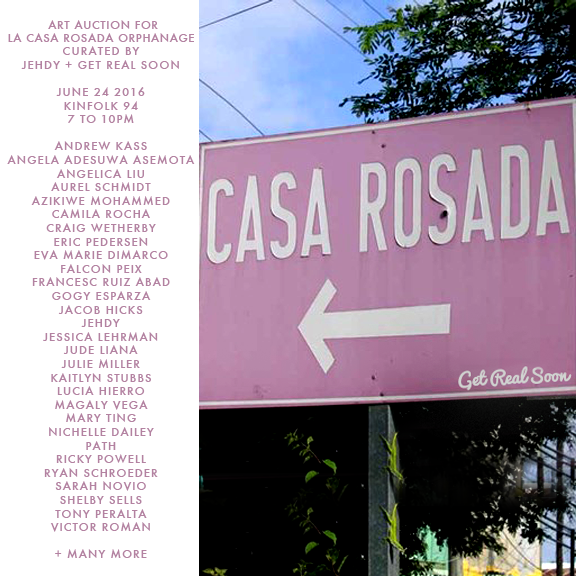 Participating Artists: Ricky Powell, Auriel Schmidt, Julie Miller, Craig Whetherby, Azikiwe Mohammed, Jessica Lehrman, Jude Liana, Camila Rocha, Gogy Esparza, Tony Peralta, Shelby Sells, Andrew Kass, Angela Adesuwa Asemota, Angelica Liu, Eric Pederson, Eva Marie Dimarco, Falcon Peix, Frances Ruiz Abad, Jacob Hicks, Jehdy, Kaitlyn Stubbs, Lucia Hierro, Magaly Vega, May Ting, Nichelle Daily, Path, Ryan Schroeder, Sarah Novio, Victor Roman, Chris & Patrick Klapper, and many more. Thank you for your time & we hope you will participate with our Casa Rosada fundraising initiative! Sign up for email updates from Artist Jehdy + Creative Partners Get Real Soon.